This guide shows you how to use the Google VR SDK for iOS to create your own Virtual Reality (VR) experiences. You can use Google Cardboard to turn your smartphone into a VR platform. Your phone can display 3D scenes with stereoscopic rendering, track and react to head movements, and interact with apps by detecting when the user presses the viewer button. 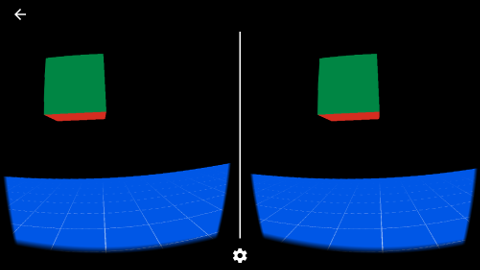 The Google VR SDK for iOS contains tools for spatial audio that go far beyond simple left side/right side audio cues to offer 360 degrees of sound. You can also control the tonal quality of the sound—for example, you can make a conversation in a small spaceship sound drastically different than one in a large, underground cave. You'll need an iPhone running iOS 8 or higher and a Cardboard viewer. Install Xcode 7.1 or higher. In Xcode, open the TreasureHunt workspace (Samples/TreasureHunt/TreasureHunt.xcworkspace), and click Run. In "Treasure Hunt", you look for and collect cubes in 3D space. Make sure to wear headphones to experience the game's spatial audio. Move your head in any direction until you see a cube. Look directly at the cube. This causes it to turn orange. Press the Cardboard viewer button to collect the cube. Implement a UIViewController to host GVRCardboardView. Define a renderer to implement the GVRCardboardViewDelegate protocol. Add a render loop using the CADisplayLink object. 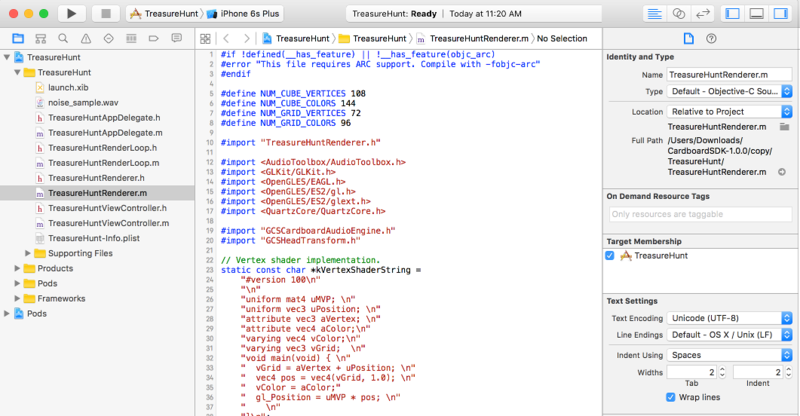 The TreasureHunt app implements a UIViewController, the TreasureHuntViewController class. This UIViewController class has an instance of GVRCardboardView class. An instance of the TreasureHuntRenderer class is created and set as a GVRCardboardViewDelegate for the GVRCardboardView. In addition, the app provides a render loop, the TreasureHuntRenderLoop class, that drives the -render method of the GVRCardboardView. Implementations for the willStartDrawing, prepareDrawFrame, and drawEye methods are described below. // Load shaders and bind GL attributes. // Load mesh and model geometry. To set up rendering logic before the individual eyes are rendered, implement -cardboardView:prepareDrawFrame:. Any per-frame operations specific to this rendering should happen here. This is a good place to update your model and clear the GL state for drawing. The app computes the head orientation and updates the audio engine. // Update audio listener's head rotation. // Update the audio engine. // Clear the GL viewport. The drawEye delegate provides the core of the rendering code, similar to building a regular OpenGL ES application. The following snippet shows how to implement drawEye to get the view transformation matrix for each eye and the perspective transformation matrix. Note that this method gets called for each eye. 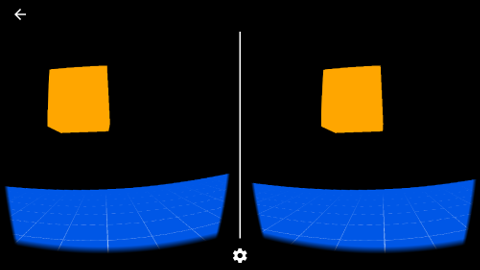 If the GVRCardboardView does not have VR mode enabled, then eye is set to the center eye. This is useful for monoscopic rendering, to provide a non-VR view of the 3D scene. // Get the head matrix. // Get this eye's matrices. // Compute the model view projection matrix. // Render from this eye. After returning from this call, GVRCardboardView renders the scene to the display. The Google VR SDK detects events fired when the user presses the viewer button. To provide custom behavior when these events occur, implement the -cardboardView:didFireEvent: delegate method. // Check whether the object is found. // Vibrate the device on success. // Generate the next cube.